It was a cloudy start to our recent farm outing, with a few sprinkles along the way, but that didn't do anything to dampen our spirits. We met early in the morning at the Kershaw County Farmer's Market (our favorite local market) and enjoyed walking around, seeing familiar faces and some new, stopping to chat with a few of the vendors and purchasing some delicious South Carolina grown products. 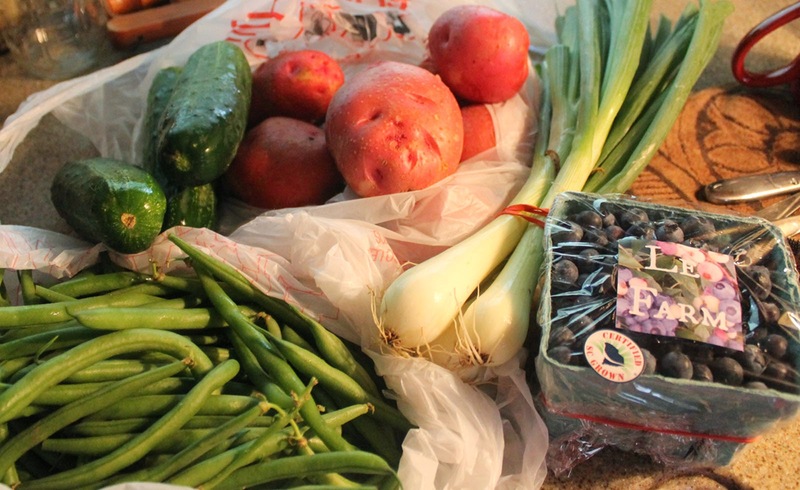 Cucumbers, Organic Blueberries, Green Beans, freshly dug Red Potatoes and the BEST looking Onions I've seen was my haul, while my friends scooped up some tomatoes, squash and more. After our market stop we made our way over for breakfast at the Carolina Cafe and Grill. At this small, quaint little place just around the corner from the market, we were pleasantly surprised by how FRESH everything was, especially because one of us saw them cutting up fresh vegetables for the Vegetable Omelette ordered. Oh my word, the breakfast was delicious, with all of us commenting about how great it all was. 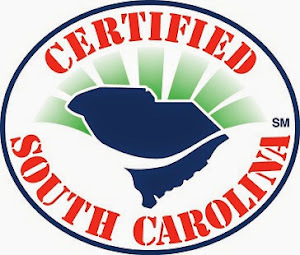 Trust me, you owe yourself a visit if you are ever in Camden, South Carolina. 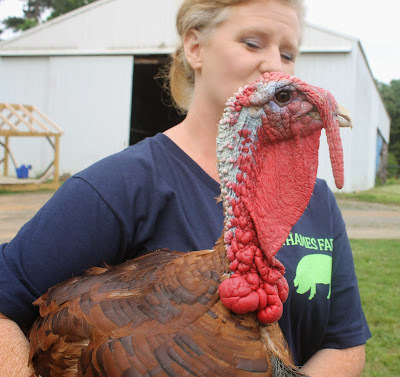 Now that we had full bellies, however, it was time to pay our bill and be off for the highlight of our day, a tour at Thames Farm, located at 3510 Catawba River Road, Fort Lawn, South Carolina 29714. Following Hwy 97 north from Camden, we twisted and turned just over 30 miles, crossing over the Wateree Dam and headed up Hwy 21 to our destination. Easy to find with a large sign on the right side of the road, we made our way down the long driveway where we were met by Amy Thames and her sidekick, Melvin the turkey! Oh my ... Melvin! What a character he is. He likes to greet the guests and loves to flirt. I've never see a turkey flirt until now! Melvin has a small birth defect and an amazing personality so will always be a GREAT ambassador for the farm.We all loved Melvin! 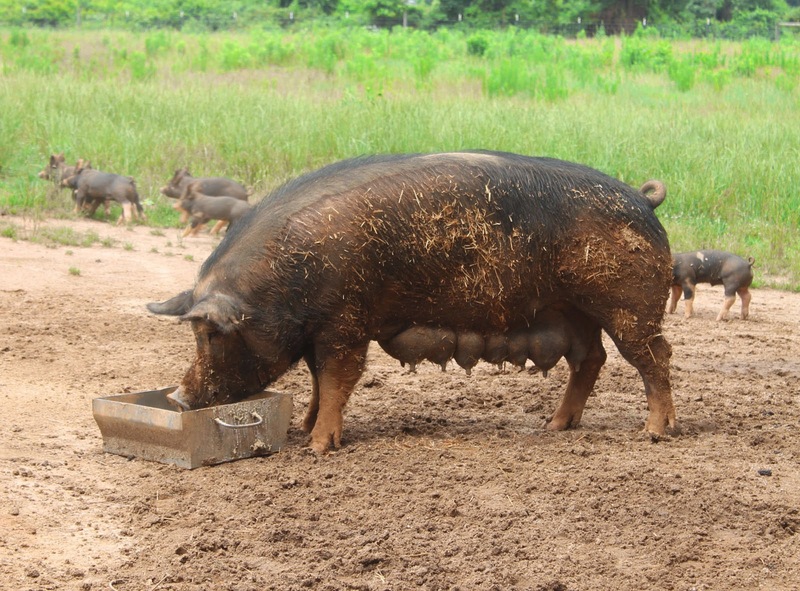 Situated on 82 rolling acres, Amy explained "Thames Farm is dedicated to raising healthy all-natural pastured Berkshire pork, pastured chicken and lamb. 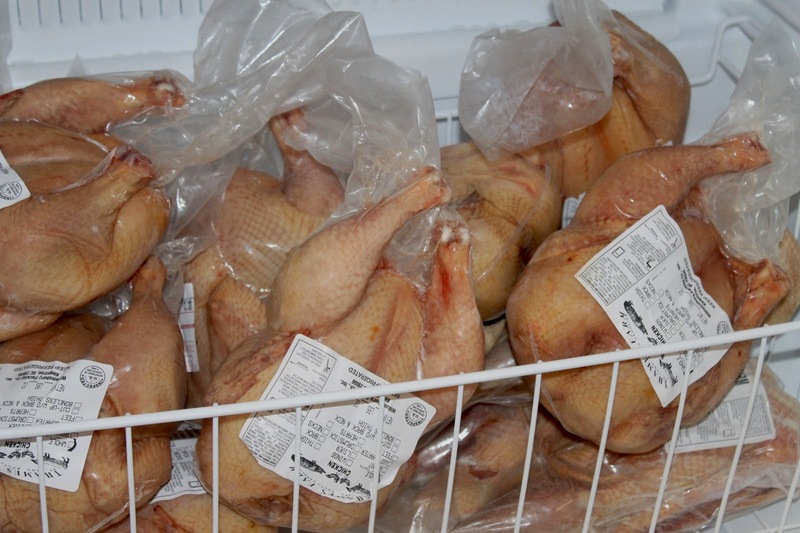 All our animals are raised on a natural diet and are never given antibiotics, steroids or any growth hormones. Our pastures are maintained chemical free. Our pigs are allowed to be pigs. They are happy and have social interaction with each other. We finish our pigs for processing on the pasture. 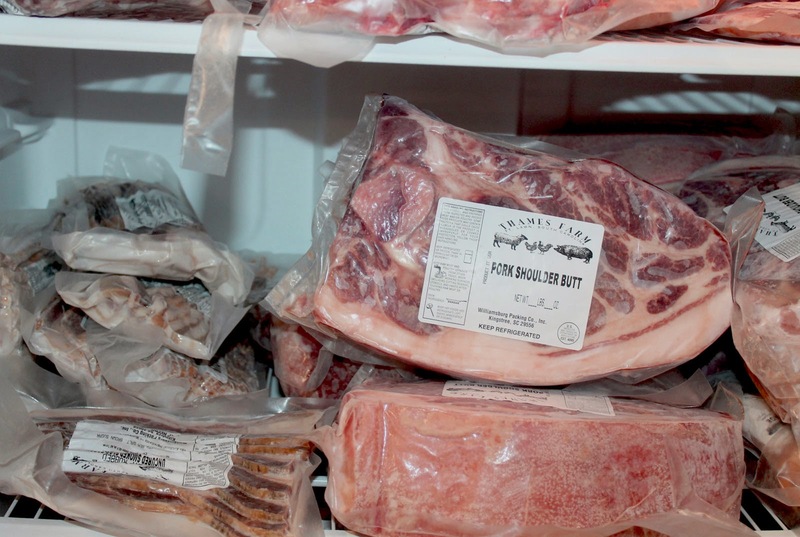 Our pigs are supplemented with grains, vegetables, and raw Jersey cow milk. They graze and bask in the sunshine. "chicken tractors" where they are protected from predators. They have access to grasses, insects and plenty of fresh air and sunshine. Junior our Great Pyreness dog watches them with a careful eye keeping them safe from anything or anyone who may harm his friends. the mobile units are moved several times daily to ensure they are always kept clean. 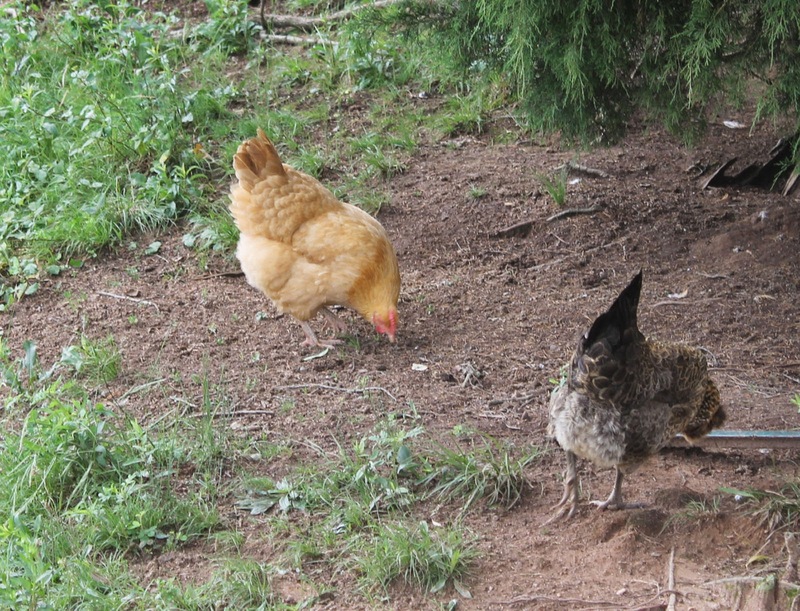 The chickens in-turn provide our pastures with fertilizer allowing us to avoid using chemical fertilizers. We have a nice group of laying hens that do an excellent job of providing us with fresh eggs. You can see them roaming around the yard all day. We also grow seasonal produce so check with us to see what is ready for harvesting." Pitmasters on the Travel Channel." two, because we all loaded up on chicken and pork products. After paying our bills and saying good-bye to Amy and Melvin, we headed home. It was a great day with good friends, and another wonderful adventure exploring a small, local family farm doing it right for you and me. I am happy to be on this journey to explore what's fresh right outside my door and look forward to many more farm trips because I've met some of the BEST people, who have become friends. 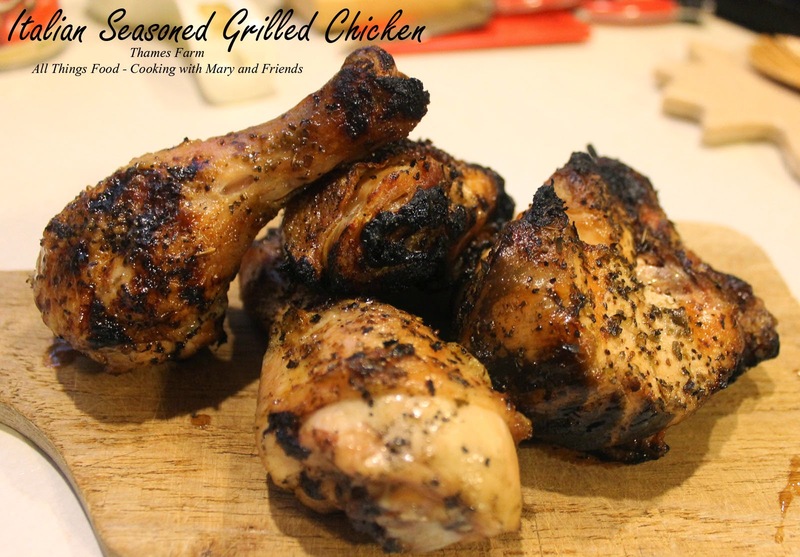 Naturally I couldn't wait to cook something with my purchases, so a few days later my husband and I prepared this Italian Seasoned Grilled Chicken. 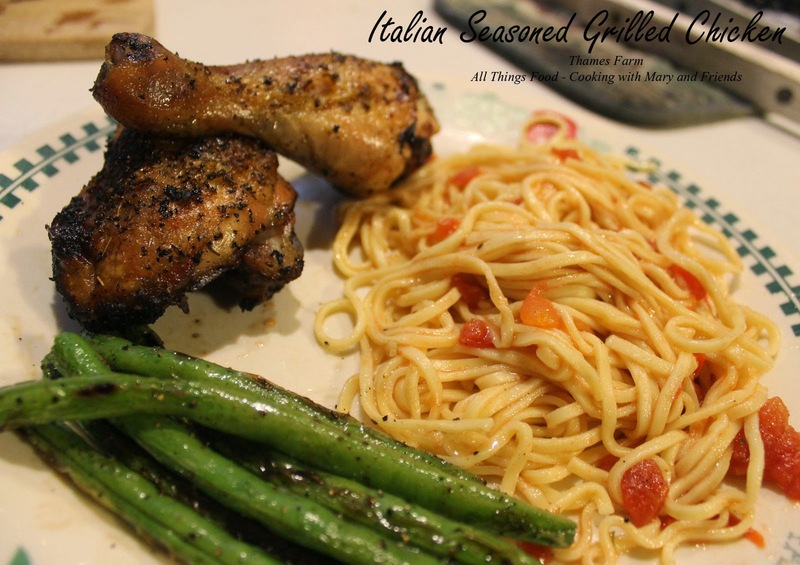 It was so good and made for a nice summertime meal with a side of fresh pasta and grilled green beans. Liberally sprinkle chicken pieces with listed spices. Grill on direct medium low heat, turning every 5 minutes until cooked through, approx. 30 minutes (watch for flare ups). 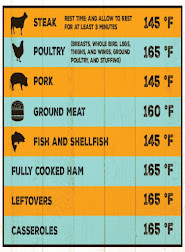 Remove from grill, cover with foil and let stand 10 minutes before serving.